Preston Park is the largest urban park in the city. Whether you want to take part in sports or sit and enjoy a picnic on a summer’s day, Preston Park is the perfect place to go. Due to its size and location the park is also used as a venue for concerts, circuses, fairs, family days and other events. You can find out more about these, and how you can be involved with the park community, below. Preston Park can be reached from Preston Road, Preston Drove and Preston Park Avenue. View map of the park's location. Alternatively you can download a guide to Preston Park (PDF 2.1MB) to print off and bring with you. The 5 and 5A buses run between Hangleton and Patcham and go straight past the park every few minutes during the day. Further information and timetables available from the Brighton & Hove Bus company. There are cycle lanes leading to the park from the city centre and various places to secure your bicycle to around the park. Download your city cycling map here. For more information on cycling around the city check the Journey On site. There are parking areas at the north and south of the park, accessible from Preston Drove or the junction between Preston Road and Preston Park Avenue. All other areas of the park, with the exception of the bays marked for Blue Badge holders disabled parking, will be pedestrian only zones. We will publish details of the amount of money raised from the parking restrictions and what it has been spent on in the park Management and Maintenance Plan. Events organisers may apply for special arrangements for a limited period. During events parking in the park may be difficult. Have you found a problem at the park? Contact us using our online City Parks problem report form. Preston Park Gardening Club - every Thursday. Contact details above. Interested in volunteering at this park? Use our events diary to find more events and activities at this, and other, parks across the city. Children's playground. Find out more about playgrounds in the city. There is a friendly and popular 1.5 mile walk around Preston Park, meeting at the Rotunda Cafe at 10am on Mondays - see.Healthwalks . 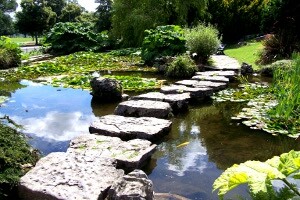 Situated on the opposite side of Preston Road to the main park, the Rockery is the largest municipal rock garden in the country. The Rockery is arguably the most bio-diverse garden in the city and also features twisting walkways, streams and waterways. Preston Park is one of seven parks in the city that is recognised by the Green Flag award scheme. You can also Donate a Tree at this park.